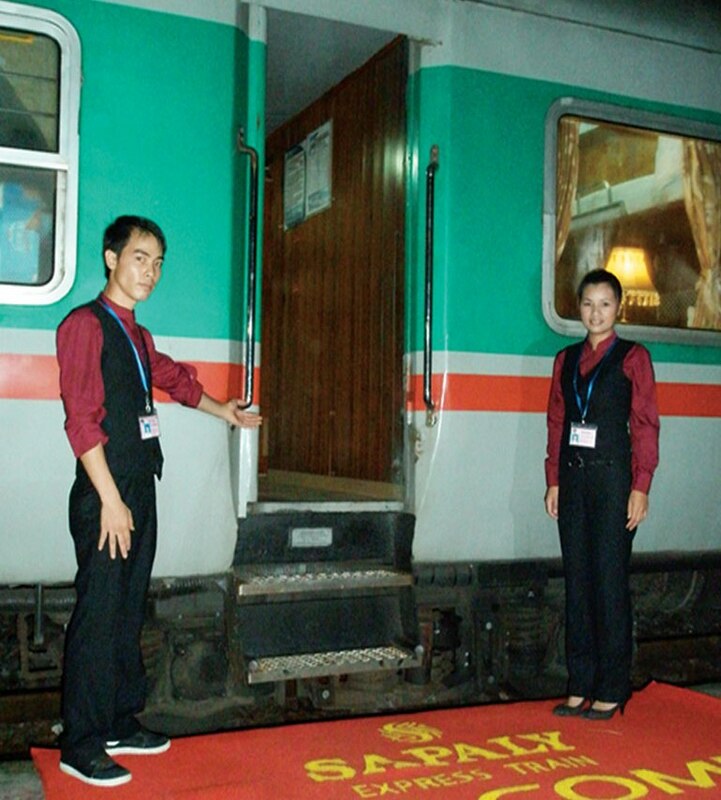 Sapaly express train has the stunning and luxurious interior, which obtains European standards, it’s not hard to imagine that you pass the journey of 350 km from Hanoi to Lao Cai in just only one night with a wonderful sleep in your carriage which is like a luxury room in a four–star hotel. Each cabin has 4 berths, which can be set up to deluxe cabins 2-berth up on request. In particularly, deluxe cabin is decorated with wooden floor; graceful curtains; warm light system; baggage storage, flower and some items such as 4 Bottled waters, Wet Towels and crackers. With soft white pillows, fresh blankets, graceful curtains and state of the art facilities, cabins are bound to bestow on passengers a nice stay with deep sleep. Besides that, Sapaly has VIP cabin 2 berths with the spaciousness and other kinds of drink like a beer and a lemon tea. This is very suitable for couples who desire to have their own privacy. In addition, there is a clean corridor with many big windows and a small but clean toilet in the Sapaly express. Moreover, staff members of “Sapaly Express Train” are always ready to offer the best customer care and complementary service.